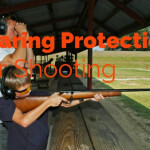 Whether you are a serious marksman or a casual shooter, you want to protect your hearing and we believe having the best hearing protection for shooting is a must. 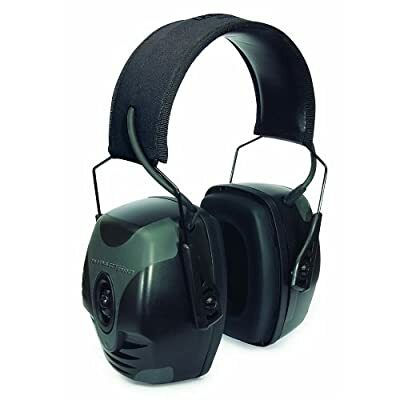 On this website we will focus on all aspects of hearing protection including; ear plugs, electronic shooting ear muffs, headband style ear muffs, hunting hearing aids, and other electronic ear plug solutions. People don’t recognize the danger of firing even a small caliber gun like a .22 can cause ear damage. Over time your hearing will be damaged if you don’t take the proper precautions. Once you lose or damage your hearing it won’t come back and living without hearing is not worth it. We take protection seriously and so should you. Below we have an interactive chart where we focus on some of the best rated hearing solutions on the market. We will even focus on Mutt Muff Ear Muffs for your dog’s protection. I take my dog everywhere and realize that his hearing is even more essential when I am shooting. So, let’s take a look at some ear protection. Before we reveal which top 5 ear muffs for shooting we have picked we want to explain the different types of hearing protection on the market. Some headsets you see on the market are passive while others are active. Each person will have their own preference of the two and we will explain what you can expect from each. This is the most cost effective hearing protection on the market but it isn’t the best. You have probably used passive earplugs before in your life and all they are is either a type of foam or plastic insert you put into your ear. 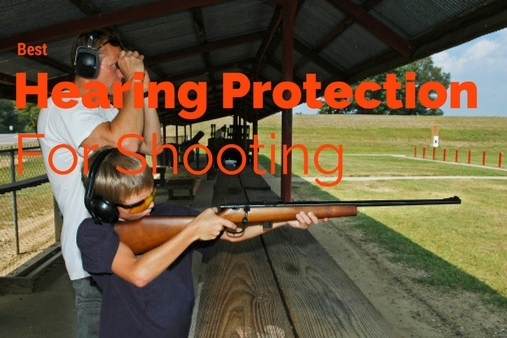 When you are firing a gun while using a passive set of ear plugs you will still hear the gun shot which could still damage your ear depending on which gun you are firing. It is always a good idea to wear passive ear plugs with something else to receive the full benefit and we never recommend using these if you shoot often. For the price of some of the passive ear muffs on our table you won’t go wrong spending the extra money to upgrade. Protective ear muffs are the next step up in ear protection and picking out a set that fits is crucial. You want to make sure you have a set that will adjust properly to you head size and will encompass your entire ear. The idea is to hear very little to no sounds around you. This is a great way to hear your own thoughts! The only drawback is not hearing anything unlike our active ear muffs. If you are going hunting we recommend you invest a little more for an active headset. 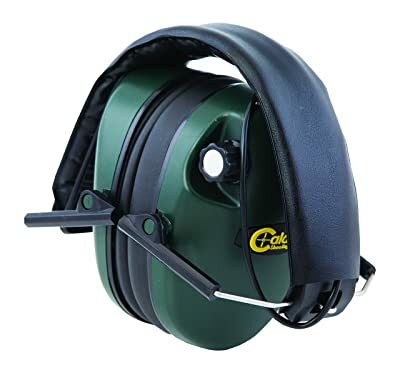 If you are at a shooting range or somewhere where you can remain mobile without the need to hear, passive ear muffs will work just fine. If you are going hunting or need to hear when you are out shooting, then these are for you. Active headsets have built in electronic equipment to both cancel loud noises (like gunshots) and amplify sounds. These headsets cancel noise when they detect a certain decibel range which is great in all situations. 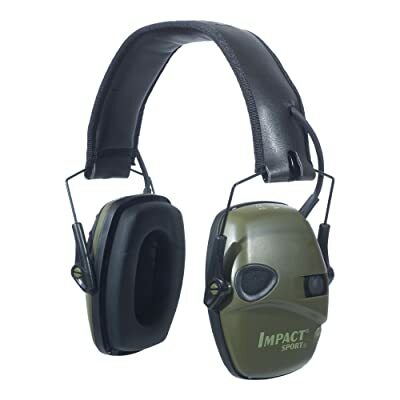 The last benefit for active ear muffs is they make you much more aware over your environment. You can hear your surroundings and make split second decisions. Companies are now add features to active headsets like MP3 functionality and communications headsets. Howard Leight has some of the best electronic ear muffs on the market and with all the included features you can see why. The R-1902 is one of the most loved over the head type headsets. It’s rugged design and fantastic fit makes it a pleasure to wear for long periods of times. With the Howard Leight headset you get a standard 3.5mm headphone jack so you can listen to your favorite music in the midst of things. What’s great about the R-1902 is that it stays in place during any type of weather. It will amplify commands or conversations you are having and will cancel noise if sounds goes over 84 decibels. This headset is perfect for communication between fellow friends while protecting your ears against hearing damage/loss. One concern you might have is if the batteries in the headset die so Howard Leight implemented an automatic shut-off after 4 hours of use from the original turn on. All in all, we recommend the Howard Leight R-01902 Impact Pro Electronic Earmuff based on it’s price vs performance features. 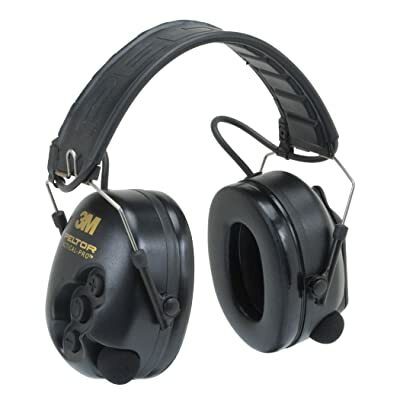 3M is another fantastic company that produces some of the best active ear muffs on the market for any enthusiast. The 3M Peltor SV Tactical Pro Hearing Protector envelops the years of innovation that 3M is know for. Like the Howard Leight set above the Peltor SV Tactical is an over the head style ear muff that is not only comfortable but durable as well. The noise cancellation technology built into this active headset is fantastic and is just a little more sensitive than the R-1902. You can carry on in any conversation and still have a safe experience when anything louder that 82 decibels is produced. As with the Howard Leight, these ear muffs come with a standard headphone jack to plug into any of your smartphone or MP3 devices. You will be amazed at the clarity of having “360 degree sound” as advertised by 3M. Included are many of the power saving features you love which will save your battery life and headaches in the future. We cannot recommend this to a hobbyist more because of the crystal clarity and quality features. What can we say, we love to use Howard Leight ear muffs for a reason and for the going rate under $50 we can’t complain. The first feature that you will notice from the feature is that it is an over the head type ear muff but that it’s also an adjustable low profile set. I love the fact that while I am taking a break from hunting I can just fold these up and put them in my front pouch. Just like the other Howard Leight headset, the R-1526 comes with an external audio input for your MP3 player or scanner. Even though this headset is half the price of the other Howard Leight ear muffs, it still comes with many of the same features. The headset amplifies commands and conversations while canceling out any sound over 82 decibels. Also these ear muffs have noise reduction rating 22 and will power down after 4 hours of periodic use to save battery life. 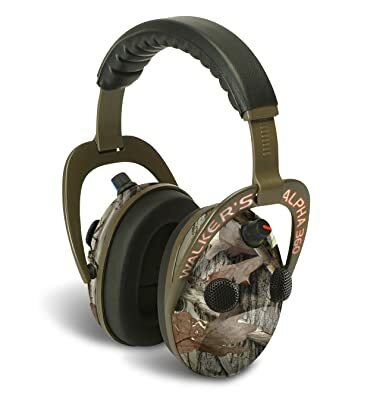 We like Walker’s Alpha Series Power Muffs for there price point and features. This headset like the others come in an over the head style set that promotes comfort. Another great feature is the included stereo microphones that are not only high frequency but also wind resistant. Coming with two independent volume controls is just an added bonus. Another feature we love to see is the Anti-Microbial pads used on these ear muffs. Anti-microbial material hinders the growth of bacteria, which reduces the smell over time. No one wants a stinky headset and Walker’s has not only made a sleek looking ear muff, but a sanitary one as well. The clarity on the headset is stellar and the ability to adjust sounds up to 5x your normal hearing with the two microphones on each cup will definitely make you the most feared hunter in the forest. With all the features included in the Walker’s Alpha Series Power Muffs we can only see one drawback…no audio jack to listen to your tunes while lurking behind trees. Our last offering is something more light weight and low profile. Even though it might look like a something a little less comfortable, Caldwell delivers a headset that is not only adjustable but easy to wear. This headset really makes a difference when you have to wear them for long periods of time. Even the thinner ear piece isn’t noticeable, these are one of the first headsets to focus on reducing weight to make having these on just an after thought. Just like the Walker’s Alpha Series, these also come with a dual microphones to amplify sounds lower than 85 decibels when listening to conversations or commands. Listening to environmental sounds is just as important so anything between 0 and 20 decibels is amplified so you don’t miss a singe thing. The cut off for anything above 85 decibels is 2 milliseconds and is just higher than some of the other competition (82-84 range). Most people will dismiss this minor note and find that functionality will win them over in the end. There are so many different kinds of headsets on the market and choosing a good pear of ear muffs may not be easy. We recommend that you purchase a reputable brand and always read reviews before you purchase anything. Ratings play a big role and setting a budget to decide which set will suit you best will come down to you. Do you want a military grade set or something for casual shooting? If you take your time and look at the specs, you will end up with the best hearing protection for shooting out there.